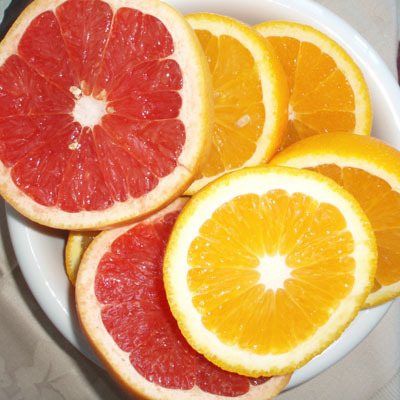 If you like oranges, grapefruits and other citrus fruits, you’re also helping to protect yourself from a stroke. A study published in the Journal of the American Heart Association tracked 70,000 women over a period of 14 years, and looked at their diet and food patterns. The women in the study who regularly consumed citrus fruits or juices (mainly orange and grapefruit) had a 20% reduced risk of ischemic stroke. Ischemic stroke is by far the most common type of stroke, and it affects more women than men. It is usually caused by blocked arteries to the brain, which can lead to neuron cell death. In older adults, the gradual buildup of cholesterol in arteries supplying the brain is the typical culprit that can trigger an ischemic stroke. Having high blood pressure, heart disease, and diabetes also elevates the risk of a stroke. Citrus fruits contain flavonoids, which give fruits their bright colors like orange, yellow, red, and purple. Flavonoids also exhibit many beneficial antioxidant and anti-inflammatory properties. One citrus flavonoid in particular, Hesperidin, was also shown to reduce cholesterol in an animal study. Higher concentrations of flavonoids are consumed when you eat an orange or other citrus fruit, instead of relying on processed juice, which many times contains added sugar. So go ahead and peel that orange, or cut open a grapefruit! Expanding research also points to the fact that diet and lifestyle choices over several decades can have a major impact on brain health later in life. 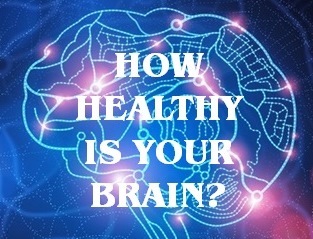 Regular exercise and a healthy diet in particular keeps a brain in good working order. Readers can take a look these four tips to help maintain a healthy brain.